Kelly is a native Nebraskan who grew up near Dorchester. She received her bachelors degree at UNL, and her DVM at Kansas State. Dr. Kelly did her reproductive training at Texas A&M University. 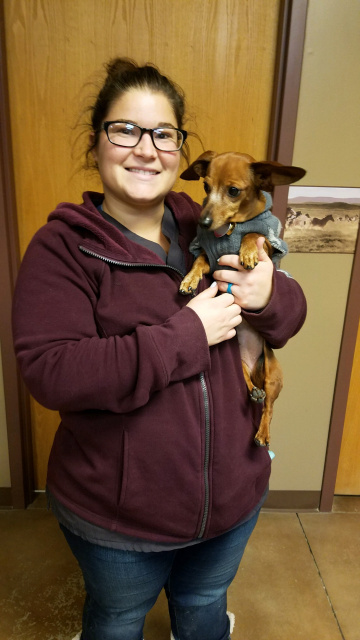 She has been in private practice in Texas and upstate New York, and she was a clinical instructor at Kansas State Veterinary school. Kelly's work interests include reproduction, chiropractics, acupuncture and herbal therapies. Kelly and her husband (Dr. Pat) have two boys who keep them very busy. Kelly also enjoys herding with her border collies, and riding reining horses when time allows. Pat was born and raised in Falls City, NE. 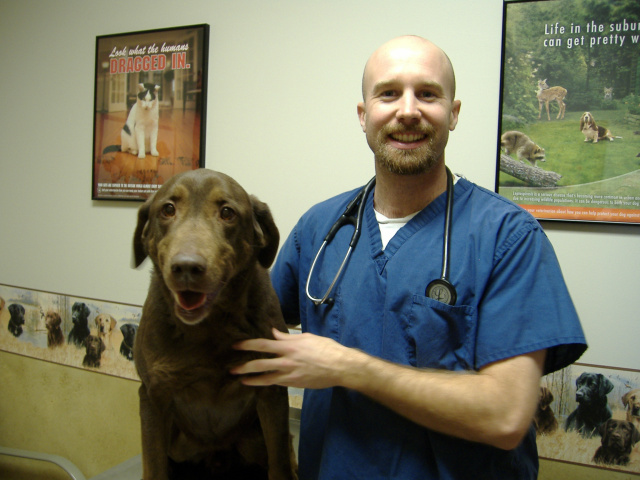 He received his bachelors degree at UNL, and his veterinary degree at Kansas State. He practiced in upstate New York before returning to Nebraska, where he and Dr. Kelly started Hillcrest in 2006. Pat's practice interests are very diverse and include medicine, surgery, lameness and dental cases. In his free time, Pat can usually be found shooting his bow or bowhunting somewhere. Dana grew up in Springview, Nebraska where she spent her spare time training and riding Quarter Horses that her family raised. She graduated from Iowa State University College of Veterinary Medicine in 2015. She enjoys all aspects of equine and small animal medicine. Dr. Dana completed her undergraduate training at UNL and is excited to be back in the Lincoln area. In her spare time Dana enjoys riding horses, running, spending time with family and friends and her dogs Paris and Merle. Dr. Dana completed her undergraduate training at UNL and is excited to be back in the Lincoln area. In her spare time Dana enjoys riding horses, running and spending time with family, friends and her dog Paris. Molly grew up near Palmer, Nebraska as the daughter of a veterinarian and enjoyed riding and showing POAs (Pony of the Americas). 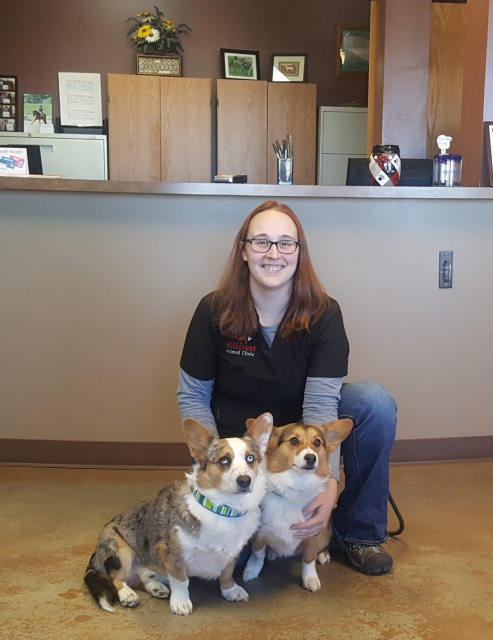 She received her bachelor's degree from UNL in 2012 and obtained her veterinary degree from Iowa State University in 2016. Molly enjoys all aspects of small animal and equine medicine. 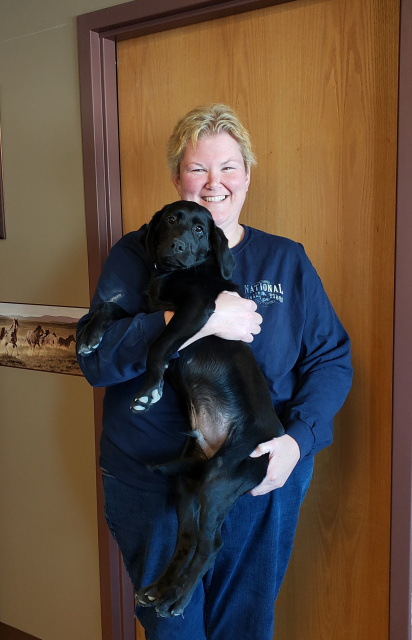 In her spare time, Molly can be found riding horses, reading, or spending time with her husband, Chris and their Parson Russell Terrier, Sprout and their German Wirehair Pointer, Baron. Molly and Chris are very excited to be back in Lincoln after spending some time away. Dana grew up in Springview, NE where she spent her spare time training and riding Quarter Horses that her family raised. She graduated from Iowa State University College of Veterinary Medicine in 2015. She enjoys all aspects of equine and small animal medicine. Kelly grew up near Schuyler, Nebraska. She grew up riding and showing horses throughout grade school, high school, and college. Kelly lives near Ceresco. 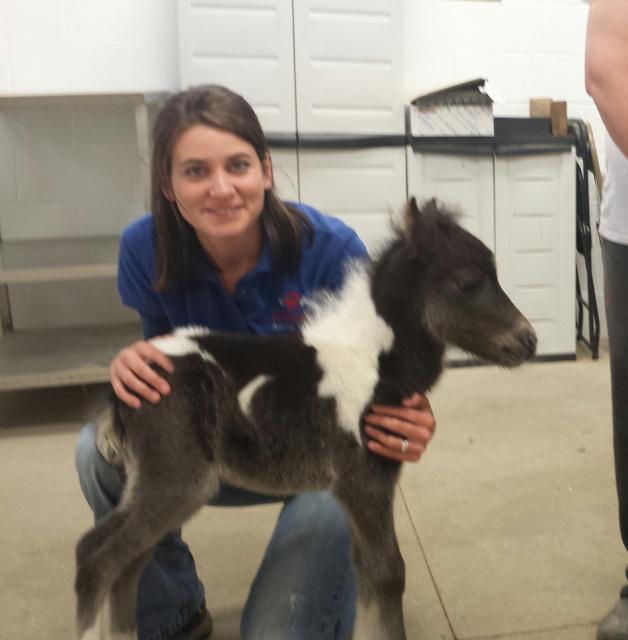 She has worked in the small animal and horse veterinary industry since college. She has been with Hillcrest since they opened. Kelly handles all aspects of the office. In her free time she enjoys spending time with family and friends, barrel racing and trail riding. Jen moved from Colorado to the Lincoln area in July of 2004. She graduated from Bel-Rea Institute of Animal Technology with an Associate of Applied Science degree. 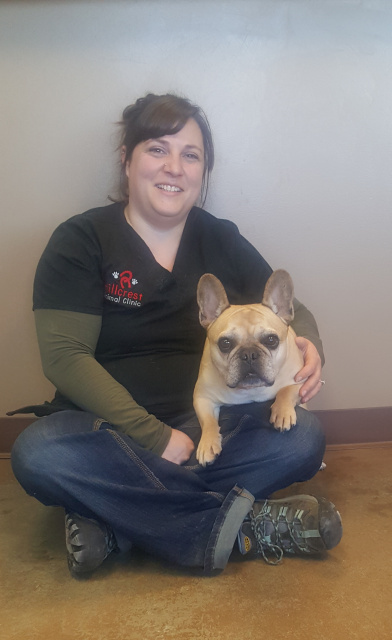 She worked in a small animal clinic since 2005 and started with us at Hillcrest in 2015. She shares her home with a French Bulldog, Rowdy and a Lab, Nash. She enjoys camping with her husband Tim and hanging out with friends. Kristin grew up in Crete/Lincoln and has been involved with animals her entire life. Her passion for animals really blossomed while her mom worked for Noah's Assistance Dogs. She has loved working with dogs ever since. Kristin also desperately wanted a horse and got in with a boarding barn who needed help cleaning stalls, and she's been stuck on horses ever since! Kristin currently owns and show a purebred Arabian, Nova. 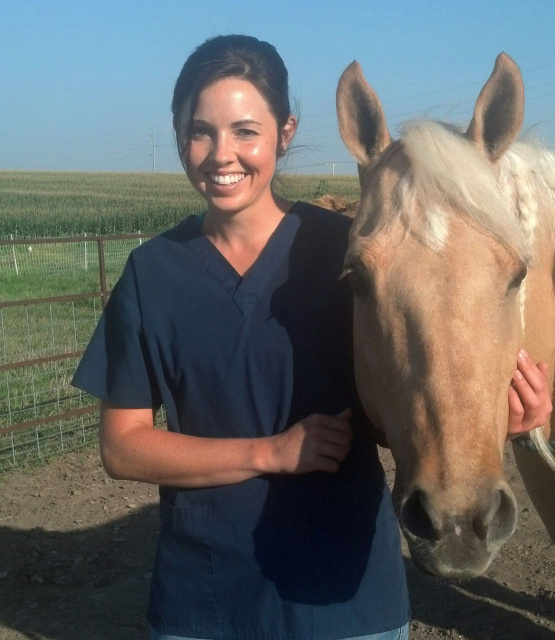 She graduated from UNL with a degree in Animal Science-Equine Option in 2013. Darby is originally from Minnesota and moved to Lincoln May 2018. She has a Bachelors in Biology with a Zoology emphasis and a vet tech certification. She worked as a zookeeper before becoming a vet tech. Her favorite animal to work with at the zoo is elephants. In her free time she enjoys camping, crafts, visiting zoos and spending time with her animals. She has 3 Dachshunds (Sophia, Abigail and Tornado), a cat (Rayne) and 2 chickens (Magnolia and Stella Luna). Pam grew up in Hastings and has been showing horses since she was 4 years old. 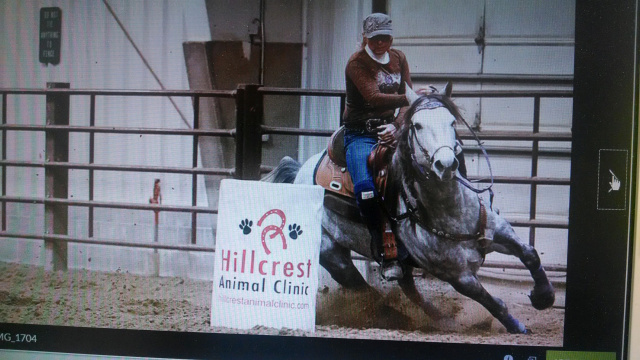 She's ridden almost all disciplines, but barrel racing is her passion. Starting young horses and bringing them to the top level has brought her great joy. Pam has 3 children and 6 grandchildren which keep her busy. Cassie grew up in Fort Calhoun, just north of Omaha. Her love of horses began at horse camp at age 11 and has been obsessed ever since! Cassie loves to trail ride in her free time. She has a full house with two Golden Retrievers; Annie and Oliver and one fun loving Black Lab, named Jake.